Buying a skateboard can be overwhelming and intimidating when you are first starting out. This is our guide to help you get started. 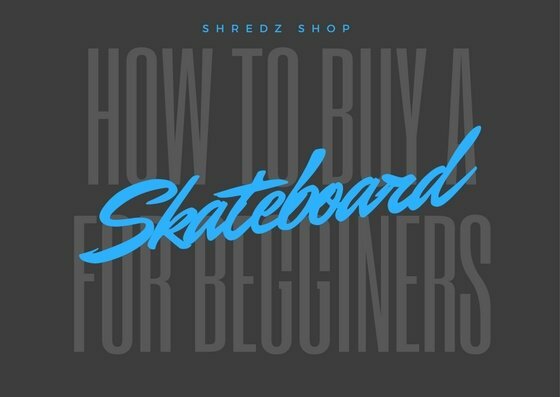 In the video and text below we break down what all the different skateboard parts are called and some key features you should be looking for when buying them. We also have a size chart for kids’ skateboards that shows what size is recommended for each height or age range. Lastly we got over some safety gear that is recommended when starting out and how to upkeep your skateboard so it lasts long and performs well. SKATEBOARD STYLE: First things first, what are you looking to use this skateboard for? 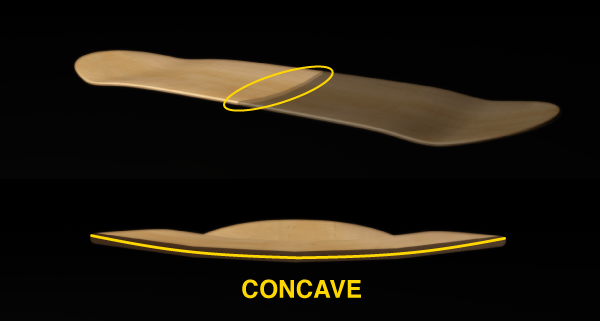 Skateboards are designed to be a certain shape and size that works well for the skatepark and doing tricks. If you’re looking for a board that is just to be ridden around town and never go up a curb, you’re going to be looking for a drastically different board than if you want to go to the skatepark or practice kickflips in your driveway. If you are purely looking for going around town, you are going to want a cruiser board that is wide and has big soft wheels. If you want to be able to go to the skatepark, do tricks or ride a mini ramp, you’re going to want a more classic shaped skateboard. SKATEBOARD SIZE: When you’re looking for a skateboard the next thing you’re going to want to look for is the sizing of the board. Sizing is a fairly new thing in skateboarding and 15 years ago there wasn’t even an option to buy a micro or soft top. But with the popularity of skateboarding today, you have more options and can get a better fit. Below is our recommended size chart from Dwindle Skateboard Manufacturers that shows age and height recommendations. The sizing is based off of Age, Height & Shoe Size, when in doubt we recommend sizing up because kids grow fast and there isn’t a huge difference between each size. If you look the smallest size (micro) is one inch or less smaller than the biggest size (Full) boards. SKATEBOARD PARTS: After you know what style and size of board you’re looking for, here’s a little guide of all the different parts of a skateboard, what they are used for and what to look out for when buying them. 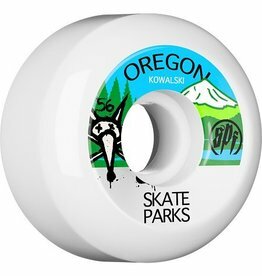 When you are buying from your local skateboard shop they will be able to help you pick these out and probably won’t carry any low quality stuff. BUT if you decide to check out a Wal-Mart or sporting goods store that isn’t as knowledgeable, there is a bunch of stuff to watch out for. *We recommend getting a board from your local skateshop the quality on a $50 board is usually really low, where as you can get a Darkstar Skateboard for $90 at most skateshops and it will be a great starter skateboard. 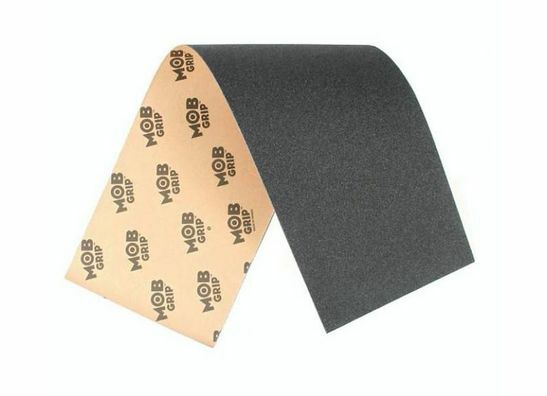 GRIPTAPE: This is the sandpaper style stuff that goes on the top of a skateboard and gives you traction to do tricks and also keeps your feet from slipping off the board. It comes in a bunch of different designs and colors but it’s worth noting that black griptape will always be the most grippy and durable compared to clear or colored because it is made with the highest quality grit. DECK: This is the main wooden part of the skateboard. Most pro decks are made of 7 thin veneers of maple wood all glued together with super high strength epoxy glue. The plys are glued together and then pressed into a shape with a nose, tail and concave. By using 7 thing plys it allows the board to stay stiff over time and not lose the shape and rigidity needed for doing tricks. Some decks will be made of 9 plys of maple and some will also have fiber glass inserts, this is supposed to prolong the life of the board, and usually comes with a higher price tag. On cheaper skateboards they will often use 3 plys of wood and a cheaper glue holding them together. What this means is the skateboard is more likely to lose it’s shape and the plys to split apart. TRUCKS: These are the metal parts that hold your wheels onto your board. They are also the part of the skateboard you use to grind and turn. 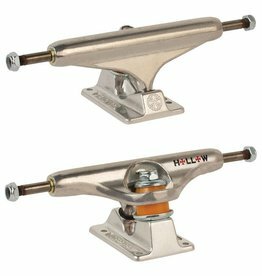 Most skateboard trucks are made of an aluminum alloy although some brands use other metals and blends. It is super important when getting a skateboard to make sure that it has metal trucks, any board with plastic trucks is just a glorified piece of junk and not worth your money no matter how cheap it is! BUSHINGS: Inside the trucks there are little rubbery pieces that are the key to how a skateboard turns. These are little polyurethane cones that will flex from side to side when you are riding and let you turn the skateboard. They come in different shapes and durometers (how hard or soft they are). A harder durometer bushing will make the skateboard more stable and less likely to turn, where as a softer bushing will let you turn easier. In most kids completes the smaller boards will come with softer bushings so it’s easier for lightweight kids to still turn the board. 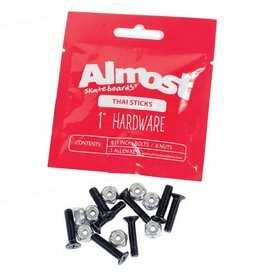 It is super important to check out the bushings on cheaper boards, lots of the time cheap skateboards will have plastic bushings instead of polyurethane essentially making it impossible for a kid to turn. HARDWARE: These are the nuts and bolts that hold the deck to trucks and keep everything together. You can get a few different lengths and they come in either philips head or allen key. Both styles work fine but usually an allen key hardware will last longer. WHEELS: When you buy your first board the wheels are probably going to be the thing that you notice more than any other component. Skateboard wheels are made of hard polyurethane (kind of rubbery material), this lets them absorb small vibrations and roll over small pebbles. On cheap skateboards wheels will often just be made of hard plastic, this means if you hit a rock they will crack or break. It also means they will not absorb any vibrations if the ground is rough. 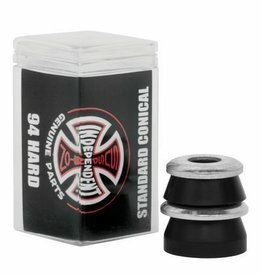 When buying a skateboard all the wheels come in different durometers (how hard or soft they are) and each durometer is better for different styles of riding. If you are buying a skateboard that is only going to be riden on smooth hard surfaces like a skatepark a harder wheel is better because they will roll faster and last longer. However, hard wheels are harder to ride if you are going to ride on rougher surfaces at all (sidewalks, roads or parking lots, etc…). If you are going to be riding on rough surfaces AT ALL we recommend starting with a softer wheel. A softer wheel absorbs more vibrations so it will ride smoothly along a rough road and not vibrate your feet. Wheels also come in a bunch of different shapes and sizes, if you are buying a skateboard complete, they will come matched up with the best size and shape for that board. A bigger wheel will let you go faster where as a small wheel is slower but is lighter weight and easier to do tricks on. SO WHAT: When in doubt go for a softer wheel, avoid cheap plastic wheels at all costs. BEARINGS: The ball bearings are the pieces that go inside your skateboard wheels and let them turn. This is probably the part of a skateboard that varies the most in quality and price. We carry skateboard bearings from $10 all the way to $190 The quality in different brands varies a ton but luckily good skateboard bearings are also cheap and easy to replace. 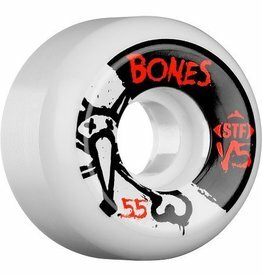 Our most popular skateboard bearings are Bones Reds and they are $23.99, so it’s an easy thing to replace if your bearings break or are slower than you want. 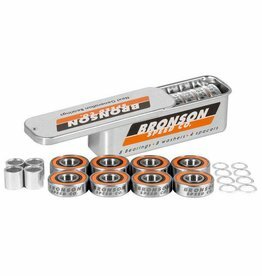 SO WHAT: Skateboard bearings vary a ton in quality and price but good bearings don’t break the bank, so don’t stress too much over this part of a complete. SAFETY GEAR: When starting out we definitely recommend some safety gear. A proper skateboard helmet is a must. Skateboard helmets go down further in the back to guard the back of your head (the most common area of impact in a slam). Wrist guards, elbow pads and knee pads are also recommended. If a kid feels safe on his board it is easier for him to have fun and get better at skating! We also recommend a comfortable pair of flat bottom shoes to skate in. WET: A skateboard getting wet will soak the wood on the deck and will make it warp and delaminate. Water will also destroy your bearings because they are made of steel so water will cause them to rust and slow you down. DIRTY: Keeping a skateboard clean will make it last longer and also make it easier to ride. Getting mud or dirt in your griptape will make it less grippy and make it harder to do tricks. Also getting excessive amounts of dirt inside your bearings will slow them down or wreck them. STOLEN: Every year we see a few skateboards get stolen. Because skateboarding is super popular right now they do get stolen from time to time. With a kids board we recommend putting some kind of mark on it so you can identify it if it does get stolen. We recommend writing your name on the bottom of one of your trucks. That way you can take the truck off and prove it’s yours. Thanks for reading our guide to buying a skateboard. We hope this helped you out and if you do have any other questions about skateboarding parts or different brands feel free to call us or email us! You can also check out our YouTube Channel where we have new videos on skateboard parts, maintenance, tricks and tips every day! We have FREE SHIPPING on all our skateboard completes in Canada. Use the promo code: COMPLETESHIP at the checkout! Thanks Aaron! Glad it helped out! Great post! It was quite interesting. Got to know about the skateboarders I was not aware of. Well written in a simple manner. This was very helpful .... your information Helped me to decide to purchase my sons first skateboard from our local skate shop rather than trying to get it cheaper at a large retailer .... I feel now he will be safer and happy , since I will make a better choice now . Thank you !! That's awesome! Glad we could help!! Good luck! This really helped me out I am a begginer and I will go buy a skateboard tomorrow wish me luck and I really appreciate this information because I won't lie I was kinda nervous so yeah thank you guys this is an amazing page. Nice and helpful but how to keep my deck clean? ?